April 29 -30: NASA Space Apps Hackathon at DePaul University! 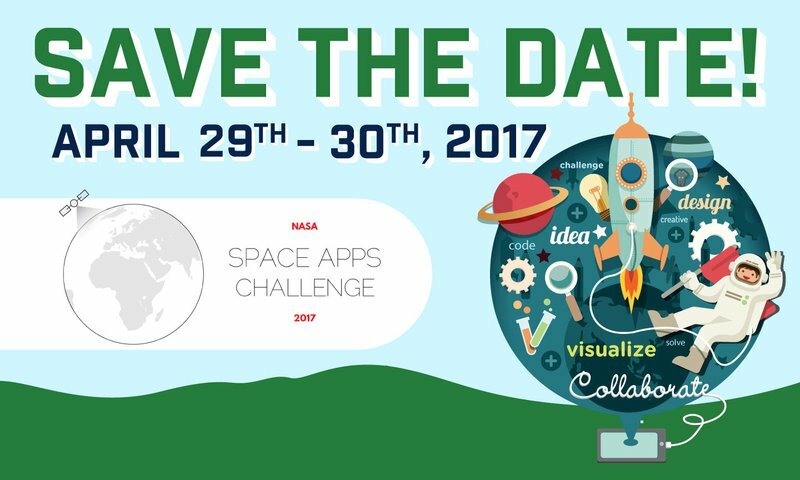 Save the date, April 29th and April 30th NASA SpaceApps Challenge! Weekend long “hackathon” for brainstorming solutions to Earth problems, using NASA open data, citizen science, and more. Participants can work alone or in teams, and promising projects will be sent on to NASA for review and potential awards. Part of NASA’s Earth Science Division, SpaceApps has become the world’s largest global hackathon, engaging thousands of citizens each year across the globe to work with NASA in building innovative solutions challenges we face on Earth and in space using open source data. Diverse and collaborative teams of technologists, scientists, designers, entrepreneurs, and others work together in a 48-hour sprint to develop answers to some of the most pressing challenges facing planet Earth using NASA data. Over 15,000 citizens from 61 countries and in 161 cities around the world participated in the 2016 International Space Apps Challenge. SpaceApps Challenge Chicago is also looking for volunteers and mentors to help with the event and guide participants with their project ideas during the event. Visit the SpaceApps page for more information and for registration: https://2017.spaceappschallenge.org/locations/chicago-il/ . For updates, follow on Twitter at https://twitter.com/spaceappchicago . http://www.geographicsociety.org/wp-content/uploads/2014/08/logo-300x98.png 0 0 Emily Speelman http://www.geographicsociety.org/wp-content/uploads/2014/08/logo-300x98.png Emily Speelman2017-04-18 09:59:132017-04-18 09:59:13April 29 -30: NASA Space Apps Hackathon at DePaul University!